This past weekend, I finally took 1st place in an ultra...the Boulder 100. It was a very special day for me, because I have been training and competing for 6 years this very month. My first race was a 12hr track ultra, and it seems fitting that the Boulder 100 was also a repeated loop. This repeat loop or track ultras are an adventure within the mind sometimes...and they have their own challenges unique to their design. I'll be the first to say that "winning" is not my overall goal in running...if winning was the goal, I would have settled on obscure little 5k charity runs or something like that. Ultra is friggin hard and once I decided to make this sport my home, I have had to work year after year to see small improvements. For this very reason, I felt very accomplished to finally get an overall win at a race. It was confirmation that I am moving in the right direction with my training, diet, etc... So I'm back to the training to continue my overall "goal" of developing myself and gaining physical, mental, and spiritual improvement through this incredible sport. The course at the Boulder 100 is repeated loops of a 7.14 mi lap on the Boulder reservoir. There is an aid station at the turn-around (3.5 mi) and, the headquarters area. The aid stations are more than enough to keep supplied with hydration/nutrition. All this support puts the responsibility for a successful race on the athlete. Multiple divisions...24hr, 100 mi, 12hr, and relays, make pacing more complicated and, even the idea of figuring out who is in your race. This is one thing I'm not a big fan of...but I've learned to deal with it over the years. In a point-to-point race, you get a sense of how you are doing because you never have to turn around or repeat sections. We started on Saturday at 9am. I thought I'd go with a different look this time, so I sported a button down dickies shirt. To tell you the truth, it was very comfortable. I ran with my Garmin and HR monitor. This has been my practice this year since I started working diligently on my training with respect to heart rate effort. Because the Garmin would run out of battery, I had a back up Garmin on stand-by from Devon, my good buddy and crew support. For several years prior, I discarded the HR monitor for a raw experience...and didn't even use a watch. I began looking at my performances and comparing years when I was using a HR monitor, and realized the more structured training was better for me...and definitely helped me pace myself better during longer events. I began clicking off the laps and felt great throughout the day. I was using Spiz about every other lap, which has been my main nutrition source for years. I also used GU brew on alternating laps. I had an incredible surprise around mile 22 when my 5 year old, Jalen, arrived and jumped on the course with me for a minute. He loves running and even finished a 1/2 marathon recently...so running with him is uplifting and very motivating to me. The loops continued to tick off and I set a new 50mi PR of 8:15. I was confident in my pacing because of the heart rate, so I continued as such. It did get a little more hot in the afternoon, when I was running between miles 40-56. Most likely this heat set me on a path to nausea, which slowed me down considerably after mile 56. I had to take a 20 minute break and attempt to fix my gut. During the first bout, I laid flat on my back and ate some pasta, crackers, and soda. The next lap was better and I thought I had things back under control. Unfortunately, the nausea continued for 2-3 more laps. I had to lay down on my back several times, and my pacers were very patient with me. Kurt and Jeremy did an incredible job staying motivated and moving me along the course, despite my feeling of illness. Kurt did some massage and stretching to my left IT band, which was pretty jacked up. I had run the Slickrock 50mi just one week prior, and I was still very tight and blistered. My crew and pacers really helped me deal with these issues as they arose at Boulder...I felt incredibly supported. Evidentally, George Zack...179, slowed a bit in the final miles. I happened to be feeling better, and all that came to a head at mile 93. We had been chasing the ghost "179" for hours and my pacers told me they were confident I was leading the race on the final lap. They leveraged paranoia for 7 miles, telling me the lights behind were getting closer...thanks guys. So I ran and walked as fast as possible, ticking off the miles to the finish just as the sun started to show it's presence. Ran my 100 mi PR of 21:30. George Zack came in within 30 minutes. 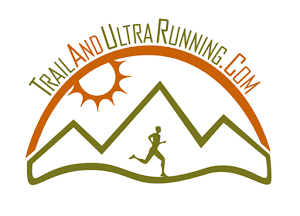 Congrats to all the finishers...and especially the athletes that were running their first ultra. I hope you all had an awesome day. Now 6 days post race, my left IT band is still destroyed....so I'm happy to be home resting and done with competition for the year. Bikram yoga hear I come. I owe a huge thank you to my crew and pacers: Devon, Kristina, Jeremy, and Kurt. You guys were amazing and did everything right. Thanks for doing all the little things that kept my body and mind together. I hope I can assemble a team like you again for an ultra. You ran great. The splits tell quite a story: http://www.geminiadventures.com/results/24B11results.htm ... I saw you closing the gap on me all afternoon ... never saw you at night and I certainly never saw you on that last lap. Awesome running on that one! And if you are Broomfield, we ought to be running together! Jerry, you rock dude. Don't know if you plan on doing Boulder 100 again this year, but if you do I'll see you there. Stay encouraged and keep doing what you are doing. You may not know it but ever since we talked at our 10yr HS reunion you encouraged me to towards the ultra direction and I have been running ever since.